Phoenix, AZ – 05 Jan 2012 – Indie Author Stephen Hise has launched a new website called Indies Unlimited. The goal of the site is to celebrate, educate, and promote independent authors. Content includes interviews, articles, links, video book trailers, contests, reviews, industry news, tutorials and recommendations. 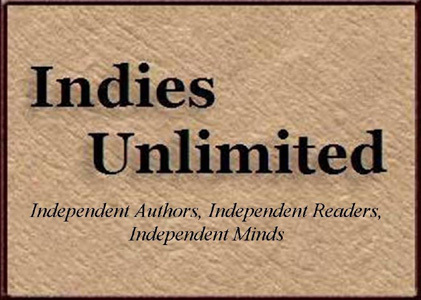 IndiesUnlimited.com is designed to provide a platform for independent authors to share and exchange ideas, knowledge, expertise and frustrations; and, for readers and reviewers to become exposed to the amazing depth and array of talent in the indie community. Readers from all over the world have already found their way to Indies Unlimited, where they can sample excerpts of Indie Authors’ books for free, and even engage an author directly in questions and answers through the comments. Authors who’d like to participate are able to submit queries via www.IndiesUnlimited.com/submissions. This entry was posted in Publishing, Writing and tagged Independent publishing, Indie Authors, Indie Publishing, Indies Unlimited, k. s. brooks, self publishing. Bookmark the permalink.